It’s nigh impossible to ignore the rise of video marketing. However, you may not be lucky enough to have the talent (or equipment) in-house to produce video content that lives up to the mark. This is where an inbound marketing agency with specialist video experience can help. In video production finding the right team is half the battle - you want to be selective with recruitment because successful brand videos require a high level of skill to produce. Choosing a partner you trust makes collaboration and communication easier at every stage. A video marketing agency with a strong company culture should be able to give you an immediate sense of who they are and how they work. If you are new to working with others on your video marketing campaigns (or have been burned before) here are some tips that will ensure your web video projects are a success. The crew you bring in may be new to your brand. Just as you take care to provide good inductions for new employees, make sure you and the whole creative team are on the same page when it comes to brand vision, mission, and values. Early conversations should recap the foundational thinking of your brand. Your video agency will make content that represents you, so it's vital that they have a deep understanding of who you are and what you do. An analysis of video assets from competitors in your industry is also beneficial at this point. Good communication from an early stage will vastly improve the message, tone and visual impact of your video. It’s also fundamental that you provide context for the work. For example, where the project fits into your company’s overall content marketing strategy, and what specific goals you have for this investment. This is true whether you are making one statement or a full series. Establishing a cohesive video marketing strategy will allow you and your creative partner to make your best work. 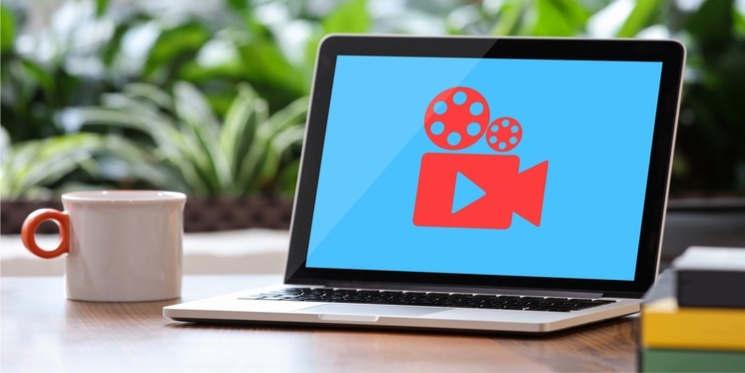 Your promotion strategy for video will greatly affect the content you create. Square videos perform best on Facebook, whereas YouTube videos look better in a standard 16:9 ratio. How you intend to deliver the final product may affect how you film it. From generating scripts and storyboards, to managing location and talent, to shooting, editing and exporting - there are several stages of video production which take skilful co-ordination to deliver. It is vital you agree on a distribution strategy early on in the project because there are so many elements to consider. If you have specific requirements for distribution - such as tailored sizing, video length or custom call-to-actions - all parties need to be aware as early as possible. These requirements will have an impact on benchmark costs and expectations. Before you shoot anything, discuss with your video agency where the video will be published, how it will be promoted and what it’s intended lifetime is. Is it a promotional piece that will be posted for a period across social media channels, or a landing page staple? Is it a piece of hero content that you would like the flexibility to change and update in the future? Your creative partner should have a good understanding of content distribution and the ability to give reasonable suggestions based on your distribution plans. As with any commodity, the cost of video can be negotiated. However, video production has many moving parts and expenditures that are covered on your behalf by the video agency. Wherever your agency reduces the budget for a video marketing campaign, there may be compromises on what can be delivered, so you should feel to have a frank discussion about scope, costs and expectations. To avoid conflict and maximise efficiency it’s important to make sure everybody is on the same page from the start. You can do this by writing a short brief. Your video agency will then be able to reference this to make sure they are meeting all of your objectives. A good project brief is realistic about what can be achieved. To accommodate dwindling online attention, the most popular videos today are under 3 minutes long - 56% of videos produced last year were under two minutes long. It’s impossible to cover every subject and target every audience in that time-frame. Your project brief should pin down key points and a target audience. Be specific about your needs. The more direct your instruction is, the better the outcome will be - it’s difficult to deliver on a vague request. Your project brief should provide sufficient context for the creative team to brainstorm. A collection of references, sample script or storyboard can help distil the concept for your video. Your agency will be able to give you an indication of how your brainstorm ideas will affect cost and help you find something suitable for your budget. For example, multiple locations, longer videos, the inclusion of graphics or other technical challenges might up the final quote. A good agency will deliver the best value for your budget. Your video agency should strive to deliver a product you are both proud of - the final outcome reflects on both parties. Be active in the pre-production stage. The entire sequence should be mapped out in pre-production. More often than not, shooting is the point of no return. Once on set, it becomes difficult to make drastic changes without redressing budget and schedule plans. For cost efficiency, you will want to condense filming into as few days as possible. Film crew, equipment and location hire are typically charged as a day rate. To prevent revisions, carefully review and sign-off on details before you start the production. For example, if there is a certain aesthetic you need - say you work in an industry where it is important that safety measures are followed - before filming is the time to say. You don’t want to be in the position where you have to re-shoot (or cut) shots because somebody wasn’t wearing the correct gear. Consider arming your production team with a list of deliverables. As with any creative project, there is potential for things to go awry. It’s important that, if you feel they have, you can relay this. Highlight issues as early as you can - a reputable video agency will propose alternative solutions. With honest communication, things can swiftly be brought back on track. Don’t be afraid to ask questions. If you leave it late to raise an issue it takes more time and manpower to undo and resolve. So, keep communication open and provide actionable feedback wherever you can. By following these tips, you can ensure your project is delivered on time, on budget while meeting your expectations and project goals. Maddy has a degree in Fine Art from Oxford University, as well as an MA in Game Design. She is an Inbound Marketing Coordinator and digital art enthusiast. Maddy contributes to the Equinet blog on topics relating to creative content.